Experience a new culture, meet new people, adjust to new situations: anyone between the ages of 15 and 18 studying abroad does more than just learn a new language – they learn a lot about themselves. Let yourself be inspired. During your exchange year, you will live with a host family and attend school with students your age. You will become part of another culture and see the country from an entirely new perspective. You will not only learn a new language, but will also develop a new understanding of the world. With the ZEISS scholarship program for children of employees, we are once again helping children of ZEISS Group employees spend a year abroad. 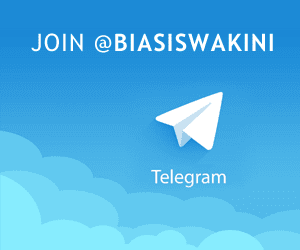 Children of employees around the world can apply for the scholarship. 10 scholarships are awarded every year. The recipients are selected together with our partner, AFS. ZEISS sponsors a school year abroad in the AFS host countries of Brazil, China, Germany, France, India, Italy, Mexico, Russia, Spain and the USA. What costs does ZEISS assume? What costs must scholarship recipients cover themselves? Please note that the scholarship is only eligible for Carl Zeiss employers children. 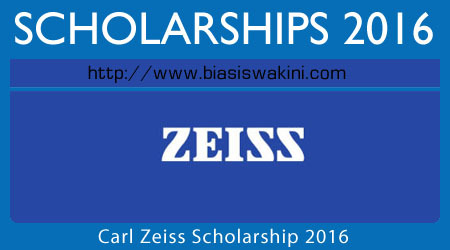 For more information on Carl Zeiss Scholarship, please contact the Carl Zeiss of Malaysia directly. 0 Komentar untuk "Carl Zeiss Scholarship 2016"